The difficulty with writing a digital marketing guide for small businesses is that every one of you reading this is marketing a different business. Some of you may be starting a cafe, and wanting to know how best to get people in the door. Others will be number four into a tech startup, working 60-hour weeks to get out of this cold loft your founder’s parents paid for. Not all of you should invest in inbound SEO. Not all of you should blog. And not all of you are local businesses, looking to get people to your brick-and-mortar. But I’ll try to give you all some sort of value nonetheless. First off, what do I mean when I say SEO? SEO is a valuable thing for every business with a website. Nobody escapes. Search Engine Optimization is the set of strategies which improve the chance of your website showing up on Google’s search results when someone types in a question or search term associated with your business. 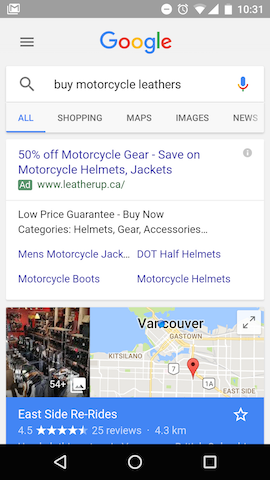 When I type in “Buy Motorcycle Leathers” into Google, the first result is an ad. But I, like many searchers, either have an Ablocker plugin activated or don’t click ads on principle. Don’t get me wrong, at least 10% of people click the Google Ad result, anyway, but that leaves 90% of clickers to engage with the organic results. And those organic results are determined by search engine optimization. In the example above, Doc’s Leathers will get more clicks than EatSleepRIDE. And they, in turn, will get more clicks than LeatherUp. The majority of clickers, though, will engage with East Side Re-Rides. Pay to get 19% of the clicks, reliably, with Adwords. But how much are you paying? Use local SEO best practices to get into the local results. Use SEO best practices to get into the top organic results. 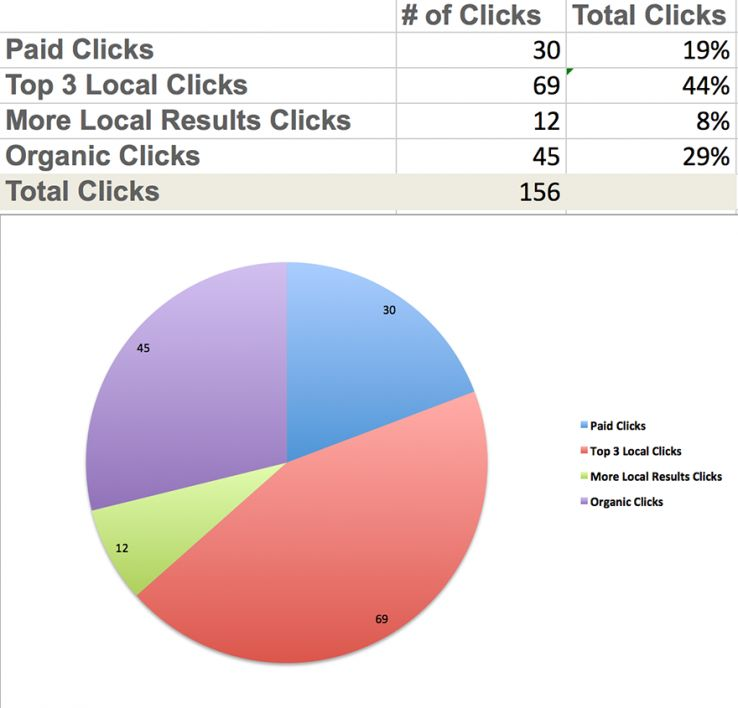 Pay to get 19% of the clicks, reliably, with Adwords. But, seriously this time, how much are you paying? For both locally-targeted small businesses and international or purely digital small businesses, your site needs to be optimized, generally, for search. I’ve submitted my website to relevant directories, listed it in bookmarking sites and created social media profiles. Think of this as increasing the volume of your site’s voice. I’ve submitted my website’s HTML sitemap and XML site map. Learn more about those here. I’ve optimized my site for mobile visitors. I’ve checked my site within the “Mobile Usability Report” within the Search Traffic Section of the Google Search Console. I’ve ensured my site has AMP: Accelerated Mobile Pages is an open source project that makes web pages load quickly for mobile users. It’s likely your CMS (WordPress, Blogspot, Ghost, etc) already has this built into their platforms, but check anyway. I’ve prioritized by page’s meta tags: title, description, keywords. These are often what show up in Google’s search results and are likely to be what searchers see. My pages have keyword-relevant title tags. These tags are less than 70 characters and aren’t being cut off in the search engine results page (SERP). My pages have keyword-relevant description tags. These tags are less than 156 characters including spaces. This is the small print which shows beneath a search result, so I’ve made it engaging. My pages have keyword-relevant heading tags. Google sees your headers as what your pages are about. Use “h1” tags as your titles and “h2” tags as your subheaders. The images on my site are alt-tagged and optimized for loading speed. I’ve added structured data markup to my pages. This is stuff like microformatting, microdata and (most importantly) Schema. Bruce Clay has a good guide to this. My site includes testimonials with targeted keywords. 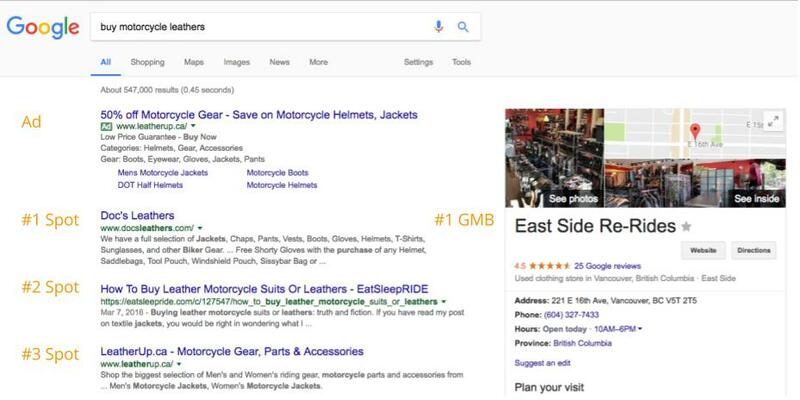 Google can crawl for testimonials (based on formatting as well as labels). These are an indicator of legitimacy and also great for your site visitors. My site has a privacy statement page. A privacy statement is seen as an indicator of “trustworthiness” by Google and Bing. Be sure the page is labelled clearly. I will continually check my server for errors. The more 404s, 301s, etc that you have, the less “trustworthy” your site looks. Check out Google Webmaster Crawl Errors Reporting to see how your site is doing. I’ve avoided using declared SPAM Tactics by reading Google’s Guidelines and Bing’s Guidelines. I’ve optimized my site’s speed and performance and removed any outstanding issues. Tools like Pingdom can help with this. But even if a blog might not be the best use of your marketing team’s time, that doesn’t mean you can ignore SEO completely. You still need to show up first when someone in your area types “coffee shop near me” into Google. Think of Google’s search algorithm (an insanely complicated thing which is impossible to fully understand) as an SAT grader. They take your scores from Math, English and Science and combine them to give your final grade, which determines what university you go to. So, in SEO terms, Google decides that a business’ nearness to the searcher outweighs that business’ lack of prominence. Equally, if someone types in a very specific term and your business matches up exactly, Google might list you first despite the fact that you’re located in a nearby town. Relevance is determined by how well your listing matches someone’s search. Matching well is determined by the completeness of your business’ GMB profile (Google My Business) and aligning with the searcher’s terms. If a searcher types in “Dentist in Highland Park, LA” then businesses with addresses within that geographic location will show up before businesses which are farther away (unless, of course, there’s a super famous dentist in Eagle Rock, or something). If a searcher doesn’t provide a location in their search, Google will determine the most-likely location based on that user’s IP address and Google profile. Prominence is a bit more complicated than relevance or distance. It refers to how well known something is in the offline world. The Statue of Liberty will show up when someone types in “Tourist Sites in New York” way before the Woolworth Building (though both are cool). How many people have linked to your site? – Think of links as “votes” in favor of your business ranking well. 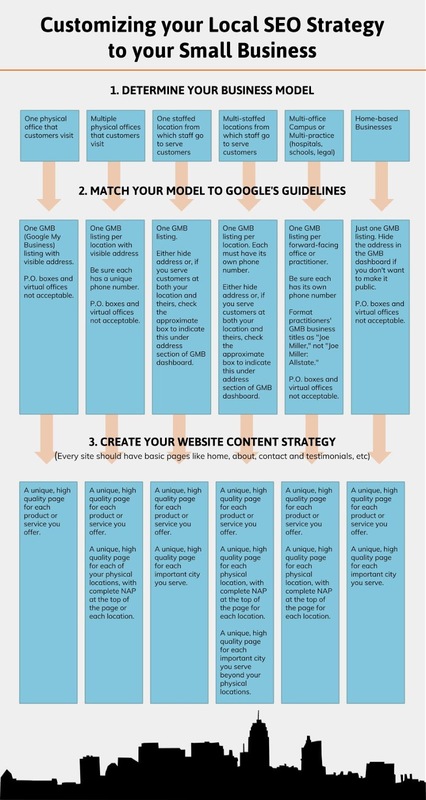 How much content is on your site? – If you have a lot of content, Google perceives this as a vote in your ability to address a searcher’s needs. Have people reviewed you well? Are you ranked well in Google’s own ranking tool? How many reviews do you have? This stuff is common sense, but often ignored. Which makes the GMB profile and Google Ad the only options. And the clicks aren’t going to be 50/50. You’ll still get the mass majority of people clicking on the organic results. Hopefully you now understand the importance, for local small businesses, to completing your GMB profile and keeping it updated. I have a “Contact Us” page featuring the name, address, and phone number of my business. My business’ name, address and phone number are contained, sitewide, within the footer element (the footer at the bottom of all your site’s pages). I’ve added Schema markup of my location data. (Here’s an explanation of that). My phone number is highly visible large enough to be clickable on mobile browsers. My site features testimonials and reviews. If I have more than one location, I’ve used location-specific testimonials on location-specific pages. I continually update my site with new content – whether that’s images, a blog, whatever. Google rewards “newness” as much as they do initial quality. I’ve used image alt-tags on all my site’s images and videos. To see a slightly more comprehensive SEO checklist, check out this guide from Moz: Match Your Local SEO to Your Business Type with the Local SEO Checklist. If, like many small businesses, a blog is a viable way for you to drive awareness and traffic, then your first port of call needs to be optimizing for search. The goal of blogging is to not rely on social media, syndication, forums or advertising to drive traffic. SEO is like business. Real success is found by making money while you sleep. You want to drive traffic while you’re doing nothing. And that means optimizing for search. The Wishpond Blog, for instance, generates about 80% of its visitors through “Google/Organic,” meaning search. That means that, every month, we do absolutely nothing overtly and 80% of our blog traffic comes anyway. But it took us a while to get there. In fact, we’ve been publishing between 3 and 7 times a week since 2013. That doesn’t mean you need to create that (frankly quite extreme) volume of content, or for anywhere near as long as we have. But you do need to be creating content. 200 million people now use ad blockers (Source: CMI). This means that ranking organically in search results is becoming more and more valuable. 82% of marketers who blog see positive ROI from their inbound marketing. (Source: StateofInboundMarketing.com). I’d guess that the other 18% aren’t measuring fully. So, if blogging is a viable possibility for your business, I’d recommend you dive in. I’ve identified my business’ targeted keywords (the search terms I want to show up for) and have started to create content around those keywords. I’ve submitted my blog articles to syndication sites, linked them on forums (growthhackers.com, inbound.org, reddit, quora, etc) and social media networks. I’m publishing consistently, as Google rewards URLs which have new content. I’m creating back-links by reaching out to other businesses asking for inclusion in their posts as well as guest posting and syndication. I’m creating internal keyword links by adding links to my articles from my other articles (a “related reading” section in your articles can help with this). I’ve filled in my blog’s meta tags. I check my articles for keyword density, ensuring that about 3% of each of my posts are keywords or phrases. My content is original, never posted anywhere else. I’ve included keyword-focused header tags within my posts. I’ve included images in all of my posts, and they’ve been alt-tagged. Hopefully this article has given your small business a better idea of the role and importance of search engine optimization. It’s a vital part of having a website, no matter if you’re an auto shop in Nashville or a software provider in Seattle.